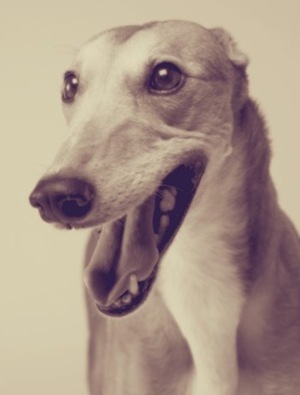 No actual photo of Grim the greyhound exists; this is a depiction of what he might have looked like. Rutherford B. Hayes won the election of 1876 by the razor-thin margin of only a single electoral vote — but a win was a win, and the Hayes family and their full complement of dogs moved into the White House the following January. Although the other first dogs’ “noses were out of joint” upon Grim’s arrival, Hayes wrote that they all adjusted eventually to his presence. The sleek, well-behaved Grim soon became a celebrity and was a favorite with photographers. Grim’s favorite person in the family, however, was first lady Lucy Hayes. “How happy old Grim always was when she returned after an absence,” Hayes wrote. 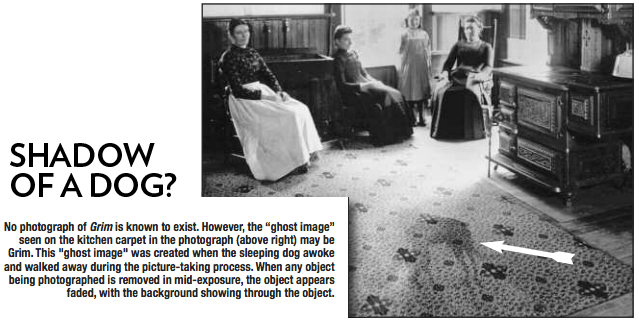 Grim accompanied the Hayes family back to Spiegel Grove, Ohio in 1881, and there the dog was joined by two of his own puppies. Sadly, Grim lived up to his name and had a tragic passing. The White House and the Hayes home in Ohio were flooded with letters of condolence when Grim was hit and killed by a train.